W.A.S.P. collection - WASP 1997 (Blackie Lawless) - K.F.D. 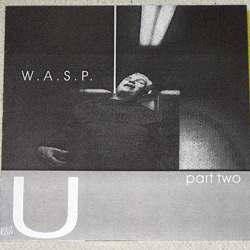 U, part two, SINGLE 6'', YELLOW FLEXI DISC, BOOTLEG, БУДКОН/BUDKON, Д60 5652, RUSSIA/UKRAINE/POLAND? ?, 1989-1995? ?